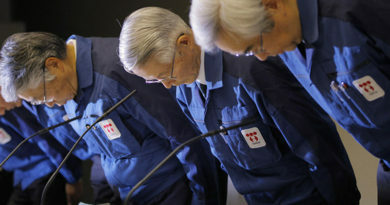 TEPCO released a report with some new conclusions related to the earlier inspections of unit 1’s containment floor. 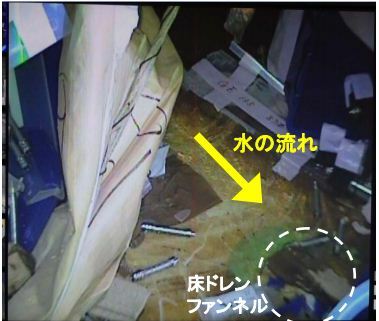 The new assumption is that there are a couple of possible small areas of fuel on the containment floor. There is also a significant layer of what they described as deposits on top of the containment floor and over where they suspect there may be fuel. 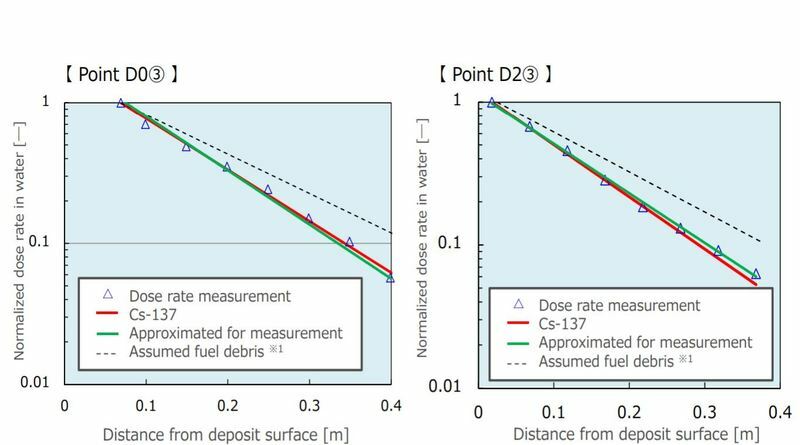 TEPCO did not explain further what they think the deposits were from or what their composition was. Samples of these deposits were taken at the time of the inspection. This means no large mass of corium was found on the containment floor. An effort to look into the lower pedestal area would help confirm if any resides in the pedestal itself. This would be the last location inside containment that could potentially hold a mass of fuel.